The hotel’s 45 suites and rooms are spread across two Georgian townhouses facing the Crescent, and three further houses across the gardens (where you’ll also find the spa and restaurant). 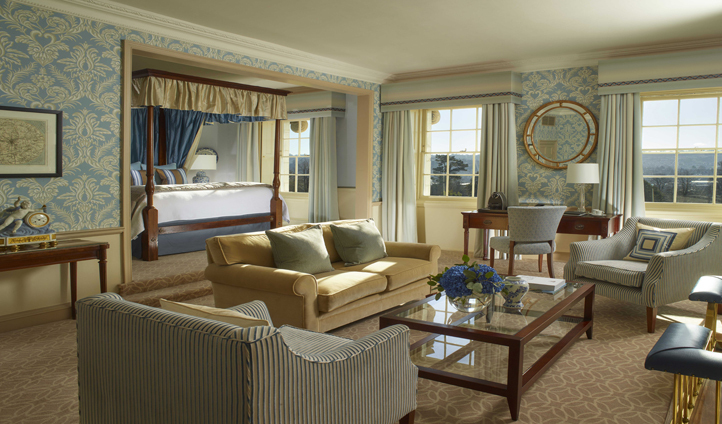 Each room has views over the Crescent, the immaculate gardens, or Bath’s ubiquitous honey-coloured stone buildings. After a full refurbishment in 2014, the rooms retain all their period feel but without a hint of chintz. Fabrics are sumptuous, robes fluffy and beds divine. For a personalised touch, instead of room numbers, the staff here write guests’ names on the guestroom door nameplates. We especially loved the complimentary tea menu left in each room – instead of fiddling with the kettle, ring downstairs and they’ll happily send up a pot of your favourite blend. Just as Miss Austen herself would have expected. The Royal Crescent Hotel & Spa strikes a perfect balance between country getaway and city splurge – you can cosy up by the fire in the library in winter, take tea in the garden in summer, and still walk to a host of delightful restaurants and shops. 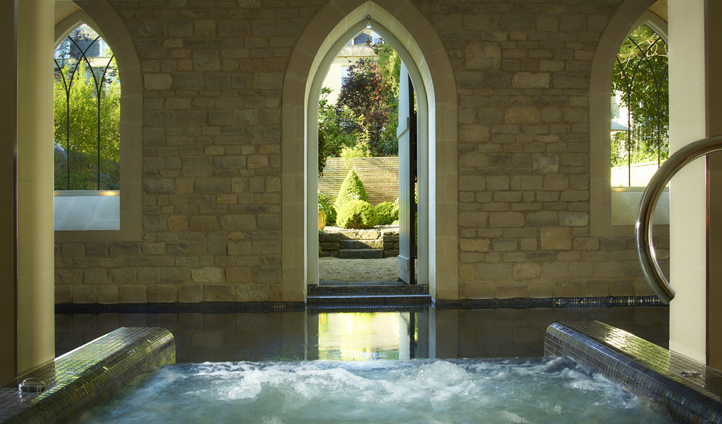 The atmospheric spa is an unexpected highlight, complete with heated pool & hot-tub, steam room, sauna and an extensive treatment menu. The restaurant is excellent; don’t miss the savoury-focused afternoon tea. For added panache, the concierge can even magic up a luxury picnic to linger over on the immaculate Royal Crescent lawn.